Managing patients with multiple chronic conditions demands significant time and resources. These patients require an enhanced level of care for which providers aren’t always fully reimbursed. Fortunately, there’s some good news- the new Medicare Chronic Care Management Program. Providers are now able to receive additional reimbursement for providing ongoing care to patients suffering from two or more chronic conditions. What is the new Medicare Chronic Care Management Program? Enacted on January 1, 2015, the Medicare Chronic Care Management program gives private practices the ability to bill for remote follow-up visits with patients suffering from two or more chronic conditions. Patients are able to receive care from the comfort of their home, which in turn frees up waiting room and exam room space for those who require an in-person visit. The potential earnings are roughly $42 per patient per calendar month- $250,000 per year (500 patients). In addition to physicians, lower level clinical staff, such as Medical Assistants and Registered Nurses, are able to conduct these visits. Although nothing with CMS is ever straightforward, our support team has sifted through the regulations and extracted all the relevant information for this new program. There are a few key requirements providers need to be aware of in order to guarantee reimbursement. The infographic below highlights what you need to know in order to take advantage of the CCM program. 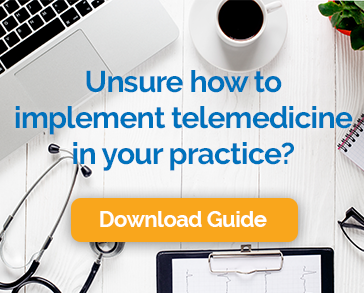 It’s true: the single best way to take full advantage of the new Chronic Care Management Program is to incorporate a telemedicine platform with a heavy focus on reimbursement support. Chiron Health has the tools and expertise to help your practice maximize reimbursement and provide the best in follow-up care. Download our free Medicare CCM White Paper to learn more about Medicare CCM reimbursement, strategies to reduce audit risk, and the use of telemedicine for CCM encounters.